What is the difference between callus and corns? What are Corns and Calluses ? Callus and corns are both an abnormal thickening of the non-living, outer layer of the skin. This is called the Stratum Corneum and from this, corns get their name. Callus is a broad and flat thickening and they feel a bit like standing on a coin in your shoe. Corns have a very hard central core like a pebble and are more painful. Both always for in the worst possible spot – that being the point of greatest force applied to the skin. It is common to have a broad patch of callus with points of corny areas within it. In both corns and callus, the thickening is caused when the skin is subjected to too much pressure. Several things can cause this to happen and the common culprits are poorly fitting shoes, prominent bony bumps and poor foot posture or biomechanics. Although corns cause pain, it is useful to know that the corn is not actually alive. This top most layer of the skin doesn’t have nerves and therefore, the corn itself is not in pain. The core of the corn focuses the pressure into a small area and pushes on the normal skin below it. It is that living skin that is in pain, just like it would be if you were standing on an actual pebble. The pressure that causes callus and/or corns to form can either be caused from external things (almost always footwear) or by some aspect of the foots structure that puts too much pressure in one place and too little in another. What can be done about corns and callus ? The good news is that, because callus and corns don’t have nerves, removing them does not hurt. No matter how painful they are when you walk in, the podiatrist can remove the callus or corn without damage to the healthy skin surrounding it and without trauma to you. No anaesthetic is required. The pain of walking will be reduced immediately, just like the pain of walking on a pebble would be immediately reduced by removing it from the shoe. How we will go about helping you to keep the corn away depends on what caused it in the first place. If the problem is footwear, we will give you specific instructions on what aspect of the shoes has caused the problem. 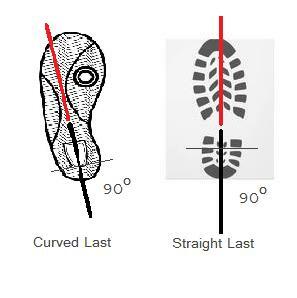 If the issue is related to foot structure, it is usually possible to custom make a simple pad or shoe insert to deflect the pressure off the problem site. Don’t use corn pads. The medicated core of a corn pad is a strong salicylic acid paste that is supposed to dissolve the corn. The problem with this idea is that the corn is far harder than the normal (but painful) skin around it. Applying the acid to the area will often lead to burning of the good skin and more pain. In repairing itself from the trauma of the burn, the skin will generally become overly excited resulting in a rapid regrowth of the corn. Remember that a corn can’t be killed or poisoned like a mole or a wart can because it is not alive. Surgically cutting out a corn and the surrounding skin and stitching up the wound, freezing it or burning it have absolutely no chance of working and will only irritate it. At worst, you will end up with a scar under the corn site which will amplify things even more. See a podiatrist, have the corn painlessly removed and learn your options to keep the corn at bay in the future. In Brisbane, call us now on 3256 1006 to get help or use the online booking portal to make an appointment 24/7. If you have corns on the little toes or in between the 3rd & 4th or 4th & 5th toes, chances are the pressure corns are due to one of two things going on. Perhaps your shoe is too tight for your foot. If this is the case, you will have probably worked it out for yourself. This just leaves you with the choice of whether to forgo the fashion or the pain. However, if your shoes seem like they should be wide enough but still you get the corns, your shoe shape might not be compatible with your foot shape. Most people we see with these problems have a very ‘straight’ foot. The best way to see if this is you, is simply to trace your foot on a piece of paper. Run a line to bisect the heel and see where it runs with respect to the front of the foot. Now do the same with the bottom of the shoe. Looking at the pictures opposite, it should be pretty obvious that a straight foot will be happy the the right shoe and not so happy in the one on the left. The little toe side of the foot will be subject to a lot of force to push it over into the shoe space. As we have already discussed, skin + pressure = corns. A small piece of padding in the middle 1/3 of the shoe can help to move the foot over in the shoe.